At 26, John Egan has moved beyond the stage where he is a player for the future. The Corkman wants to live in the present now. He has reported for Irish duty this week fresh from a period in his career which suggests that he has graduated to another level. A summer switch from Brentford to promotion-chasing Sheffield United has elevated Egan, and his most recent outing was a derby clash with Sheffield Wednesday in front of more than 30,000 spectators. The scoreless draw leaves United fourth in the table with genuine promotion hopes. 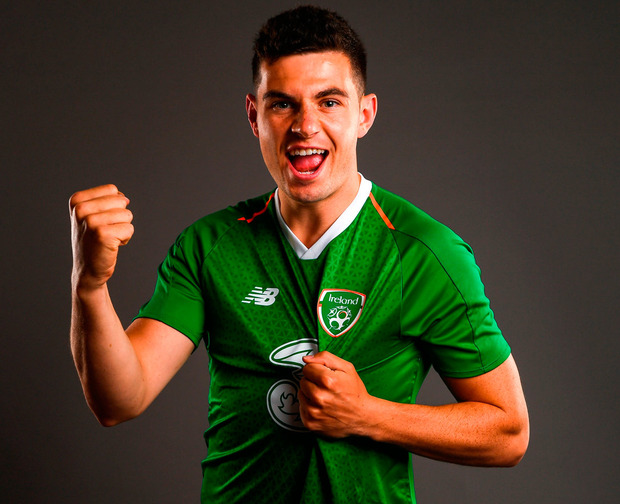 Things are going pretty well for Egan and he takes satisfaction from that given that he had to climb up the ladder again after breaking his leg in his youth at Sunderland, when Martin O’Neill was the first-team manager. He dropped in to see the devastated defender in hospital. Those are the setbacks that can ground a player, but the son of late, great Kerry corner-forward John battled back. He left Sunderland to play at Gillingham and every step since then has brought him forward. “It’s a tough world, football,” said Egan yesterday. “A lot of the lads I played youth team with are gone out of the game. Jordan Pickford is still going and doing really well and then there’s maybe myself and a couple more out of 30 players (in the leagues) which is a really low rate. It’s crazy. “When you come through like that and have setbacks – those types of injuries – there is a sense of pride that you’re still here. Egan is now established in England’s second tier and is entitled to start looking upwards. United boss Chris Wilder has recruited well and has targeted players to suit his style. Enda Stevens has thrived as a wing-back. Egan was identified as the right option for the centre of his back three. The fact that Ireland have dabbled with a similar formation does bode well. “I feel really comfortable there,” he stressed. “It’s good to be winning games, once you’re winning games everything else falls into place. Egan diplomatically brushed off questions about his clubmate David McGoldrick, a player in form that seems to have struck the wrong note with O’Neill. That comes from experience of a trade where every man ultimately has to look out for himself.